Good Day Everyone! I trust my new post finds everyone well and enjoying a great weekend! This is the second attempt of me of bug-reporting. 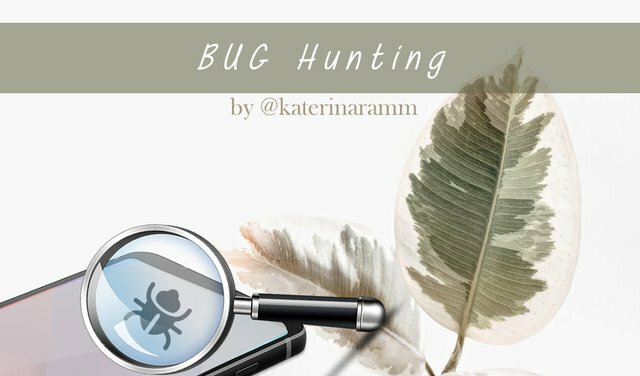 This bug is about @actifit, the app tracking and rewarding users' activity. 3 days ago, a new version of actifit was released. This new version is very user friendly, includes many new features and I wanted to put it to the test. 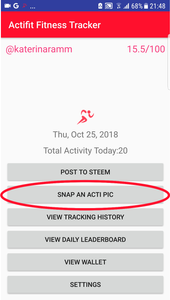 The user of the actifit app, after its latest update, has the ability to upload images, either directly from the app (click on post to steemit > insert image) or they can click on 'snap an acti pic', which immediately takes a shot and stores it in the gallery to be used in the upcoming post. The issue that was tracked is with 'portrait' type photos, that are flipped horizontally when uploaded to the app's environment. At the moment this is solved only if the image is edited from a different application. The user expects the photograph to appear vertically, just the way it was shot. This does not change when the image is posted to steemit. Unfortunately when a gif is too large, it is not possible to upload it to steemit. So I had to create two separate files. In this gif video we see that after we have clicked on 'insert image', the image does come to the preview screen but its direction has changed. I tried to check if it was an one-time bug or not. Due to the above, I did not think it was necessary to add this bug in my github account. All graphics were created either by CC0 free to use images & elements or taken from my telephone. Unfortunately, I am unable to replicate the above behavior, could be an issue with your camera app itself. The separate video you provided makes it the more difficult to get a clear picture of the behavior you are describing. Bug reports are meant to simple, technical and precise. The whole essence is to provide the project owner or developer a clue as to a feature on the app not working as expected. So the nutshell bit was unnecessary, the developer is well aware of what the application is capable of. Issues should be opened on the app's github repo before submitting to Utopian. It is advised to wait for the PO's response on the issue before posting. Extra points are given when you include in the bug report an analysis of what possibly led to the error, also for proposing a possible fix. Congratulations! Your post has been selected as a daily Steemit truffle! It is listed on rank 10 of all contributions awarded today. You can find the TOP DAILY TRUFFLE PICKS HERE. I upvoted your contribution because to my mind your post is at least 7 SBD worth and should receive 99 votes. It's now up to the lovely Steemit community to make this come true. Your UA account score is currently 4.469 which ranks you at #1989 across all Steem accounts. Your rank has improved 32 places in the last three days (old rank 2021). In our last Algorithmic Curation Round, consisting of 490 contributions, your post is ranked at #199.